For the last year I have been part of an amazing group led by Marisa Murgatroyd. If you are in business and not using social media to promote you and your business you are a minority in 2016. There are so many different networks to choose from all with their unique audiences, and every personal brand and business brand has their favorite network. The go to network where they spend the most time on, and one that is giving them the best Return on Investment. Tracking results for ROI is a whole different topic, which I will elaborate more on in the future. 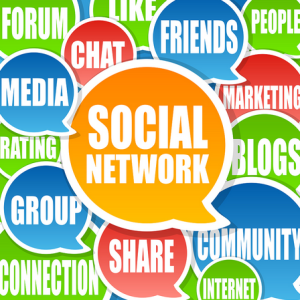 Investing the time in a wide variety of social networks is a good idea, and it is always best to customize your posts to the different networks as they are each unique. There are a few things that can be done across all of the social media platforms to make your brand more recognizable. Use the same username across all social media platforms. This will make you easy to find and follow on all social platforms. Use a similar cover photo. This creates consistency in your visual brand messaging and makes it easier for your community to associate your visual brand with you. Use a similar description across all social platforms. This again is for clear branding and messaging. Use a similar profile photo on all platforms. If you are a personal brand this does not need to be the exact same photo but it should be similar enough so that your community knows it is you. Business brands should use the same professional photo or logo. Consistency is key with everything from the colors and images that you use down to the wording. The more consistent you can be the more recognizable you will become to your community. Please share below how you are using social media to build your brand…. Facebook has begun to roll out the Call to Action buttons to Facebook Fanpages, and it is an opportunity you do not want to miss out on to promote your business. Watch the video below for more details. Definition of call to action is an instruction to the audience to provoke an immediate response, usually using an imperative verb such as “call now”, “find out more” or “visit a store today”. Click Here to Get On My Calendar for a FREE 30 Minute Discovery Session and let’s map out your call to action button.